Top 10 tips for your sailing holiday! I spent 6 months living on a yacht in Greece. There’s a thing or two that really made a difference to my comfort levels, you’ll thank me for these! 1) A portable fan. I survived one month without a fan, and when a guest gave me theirs it changed my life. 2) Insect spray and wipes. I wiped down the inside of my cabin every two days and this kept the mosquitos bay. If you find it hard to sleep with the buzzing, you can purchase a mosquito net and hang it in your cabin. 3) Hammock. The skipper on our yacht brought a hammock with him, and it was great! Not only is it comfortable to sleep in, but during the day it’s nice to cozy up with a book! You can attach it to the forestay and mast. 4) Quick-dry towel. The best invention – ever. Gone are the days when trying to dry yourself with a damp towel! Available cheaply online or at marine shops. 5) Cover-ups. Easy to chuck on when you get out of the sea. 6) Medicines. I took with me seasickness tablets, these can sometimes make people feel sleepy, if this is the case I can suggest ginger root tablets. Along with these, the typical medicines such as paracetamol, ibuprofen, hayfever, insect after bite, etc. 7) Water bottle. I found that having a water bottle I was more likely to drink water than pouring a glass below. 8) Extra pair of sunglasses. It is inevitable that a pair of sunglasses will fall overboard…. it happens…and when it does you’ll be so thankful you brought a backup. 9) Waterproof phone case. Sometimes the weather turns and you need your phone up on deck. They normally come with a ban that goes around your neck which is really handy. 10) A book of the local language! Nothing breaks barriers better than foreigners trying to speak the local language. 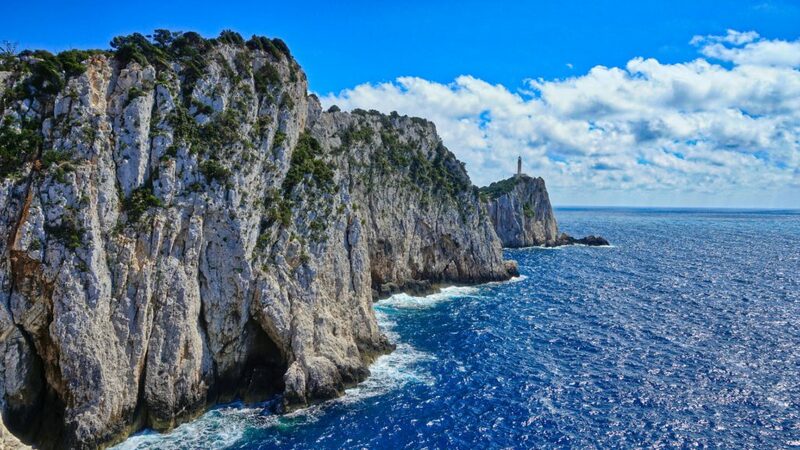 An insight into Cruising the Croatian Coastline. Aesthetically, Croatia is an incredible mix of Soviet and Mediterranean architecture. The impressively built iconic Soviet buildings can still be seen today in the larger towns. In contrast with the harsh architecture, the coastline offers a more Mediterranean, sailing vibe. Along the borders between land and sea are filled with fishing huts, ports, small cafes, and medieval architecture. There is a cathedral in Trogir which was built in the 13th century and stands proudly over the Dalmatian coast. It is an iconic landmark for the historic town of Trogir. Don`t be fooled by the medieval style of the towns, the Croatians and tourists love to party! With restaurants and bars opening late you`ll be hard pressed not to find a spot to watch the sunset. Want to be part of the action? 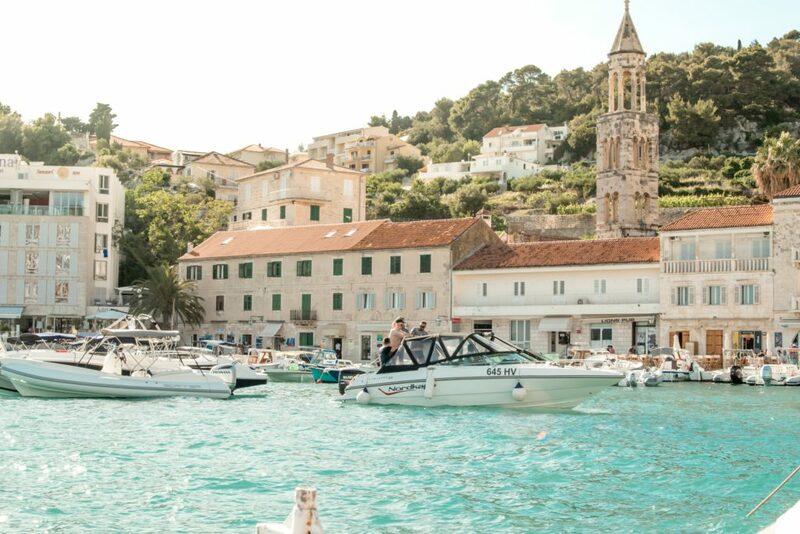 Why not check out some of our yachts based in the most famous ports in Croatia? 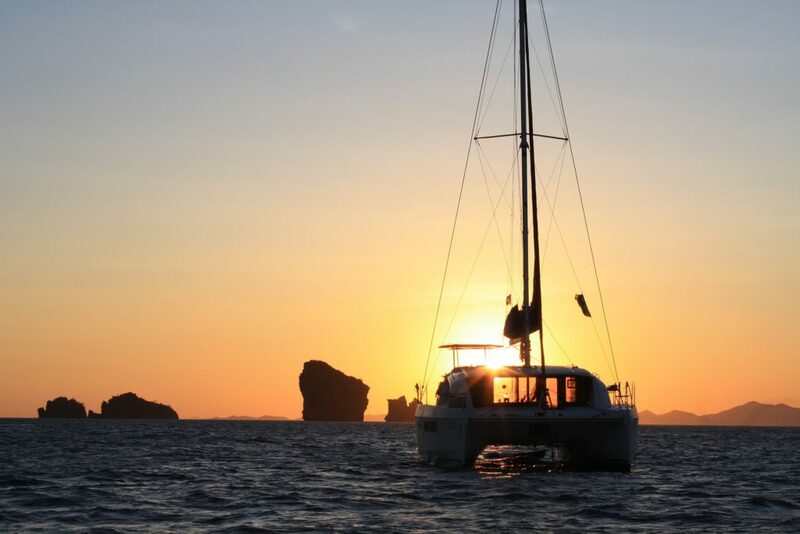 We have an extensive collection of Hanses’, Bali catamarans, Bavarias, Dufours and many many more! If partying to the early hours is not your idea of fun, then head north along the coastline to the quite islands around Šibenik. 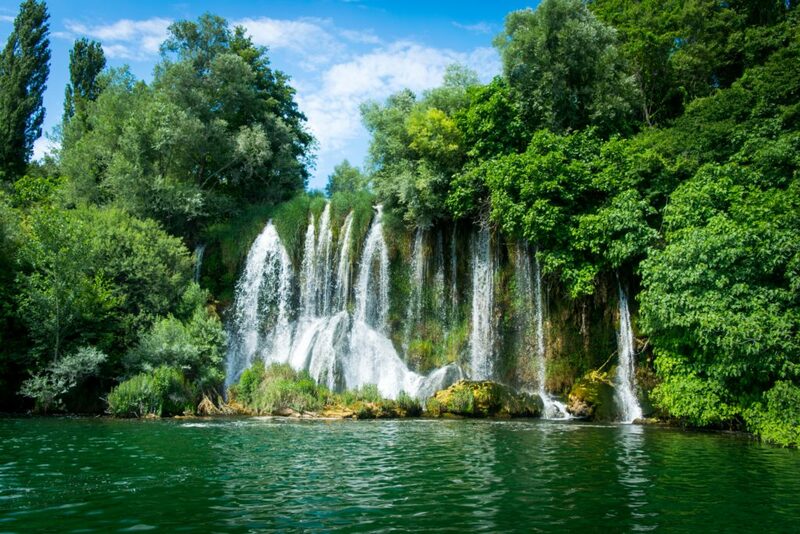 In this beautiful corner of Croatia, you are encompassed by various National Parks all within sailing distance of Split. The great thing about Croatia is that you can enjoy this country by both land and water. You really do get the best of both worlds with this charter. 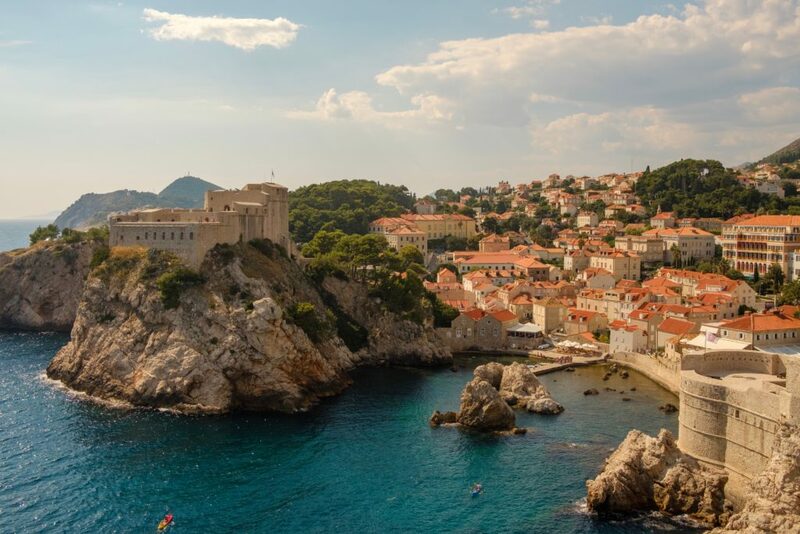 Due to the versatility and accessibility, Croatia is increasing in popularity year by year with it becoming one of the hot spots for summer vacations. This does mean that yachts get booked up very quickly! To avoid disappointment why not enquire with us and see what is available? Overlooking the Bay of Biscay is home to one of the biggest shipbuilders in the world – Dufour. Dufour is unrivaled in its quality of yacht building, from hand lamination to their meticulous yacht assembly. Italian designed, but 100% French made, Dufour has the style and sophistication you would expect by these two style orientated countries. Dufour works closely with Umberto Felci, world-class naval architects, who together have created yachts that deliver elegance, performance, and comfort – a truly luxurious yacht. Due to Dufour`s comfortable sail, and easy maneuverability, Dufour’s are very popular in the Mediterranean especially in Greece and Italy. Dufour`s are no stranger to winning awards and regattas. Amongst the many awards and nominations, the Dufour Grand Large 520 was awarded the 2018 Boat of the year by Cruising World. Besides the obvious beauty, the Dufour`s distinctive design sets them apart from other yacht designers. 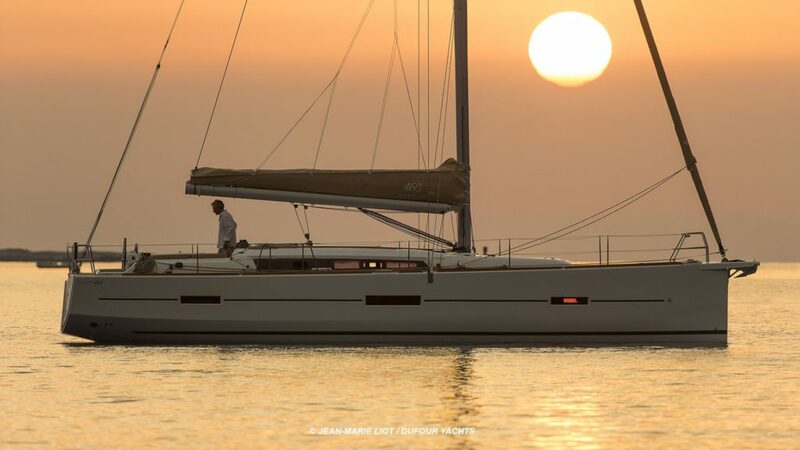 A Dufour yacht is characterized by a well-balanced hull ensuring she`s stable even under sail. Dufour has reduced its wettage surface (area below the water line) to increase her performance but not compromising on her comfortable sail. It`s small design ideas like this that attracts sailing enthusiasts from all over the world to charter a Dufour. We have some of the newest Dufour’s in the Mediterranean. With 2019 yachts based in the best sailing areas in the world such as Greece and Croatia be sure to get in touch! To secure a booking for your summer charter simply enquire here! 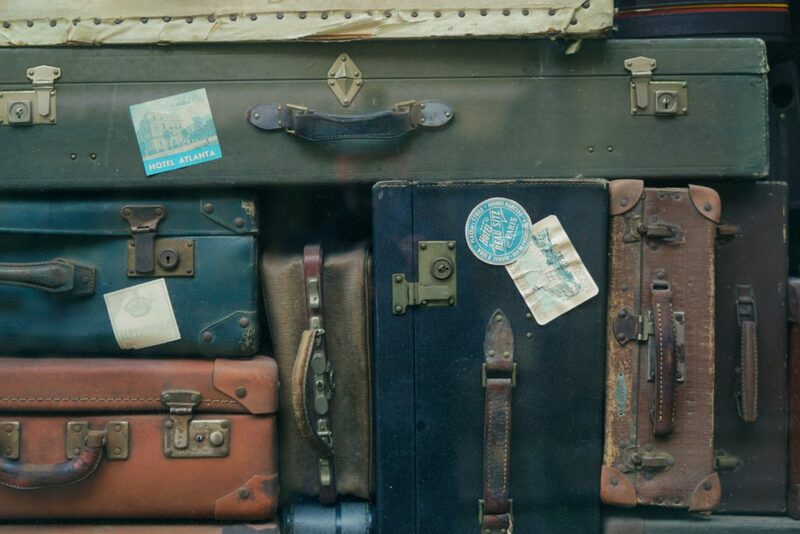 Bags and electrical devices – how what where and when?! What type of bag shall I bring? This is probably one of the most important parts of packing especially on a sailing holiday. With exceptions to the super yachts, space is incredibly valuable on yachts. With space being utilized at every corner the last thing you want is a hardback case! Opt for soft, duffle bag style. Helly Hanson does a good range of sailing bags. Yachts like Dufour, and Bavaria have designed their cabins so you can store bags under their beds. If you can opt for a backpack instead of a shoulder bag. Just because you are on a sailing holiday does not mean that you will not walk anywhere! Your anchorages which you will visit will have areas where you can hike/investigate. By having a backpack you can pack lunch, bring clothes, cameras while keeping both hands free. Also, when provisioning and picking up yet another 600000 bottles of water you are able to carry it on your back which is far better for your body. You can buy specialized waterproof bags that will keep the content 100% dry. They are fairly cheap, I brought one from Amazon for under £15. This might be deemed a little over the top, but when going ashore in the dingy I was so thankful! It’s also great for protecting a change of clothes and food. What can I plug into a yacht? How can I charge my IPhone on a boat?! Most modern yachts now have USB chargers in cabins and on the nav table which you can plug your devices directly in to. Something to note is the charing rate. When not hooked up to shorepower your devices will charge at a much slower rate. A lot of the yachts available to charter will still have the 12V charger socket (old cigarette port) I would definitely recommend purchasing a 12V plug. They’re super cheap and available almost everywhere. Remember, just like a car, if your charging devices and your engine isn’t on, you are draining the battery! I would advise limiting the amount of heat you are adding to your hair. The elements are currently trying to destroy your locks of beautiful hair! A lethal combination of Salt, sun, and wind will damage your hair. However, for those that have frizzy unruly hair, this is sometimes not an option! 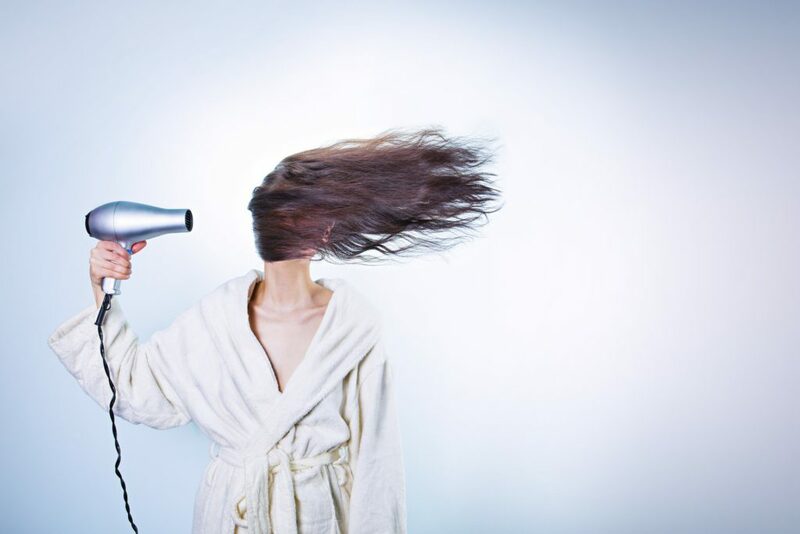 Most marinas will have hairdryers, or somewhere where you can plug into. On yachts it’s slightly different. Yachts are all slightly different when it comes to the larger energy sockets. These plugs only tend to work when hooked up to shore power. They tend to drain a lot of battery power so avoid using these appliances when you are sailing/free swinging. Southern Ionian Bareboat Sailing Itinerary. An in depth sailing itinerary by someone who lived the route. Arrive at Lefkas marina for 5 pm ready to board your own private yacht! The first evening will be spent in the marina where you will receive a handover of the yacht and some local information. Preavasia airport is a convenient 40-minute journey to the Marina which is roughly 25-30 euros. Once you arrive at Lefkas Marina, you will then be taken to your yacht and the handover will start. There is a supermarket located in the marina where you can find basic necessities – look out for their figs, the owner of the supermarket grows them! The supermarket will also deliver the provisions to your yacht for free if you wish. There’s also a Lidl located about a 20-minute walk (or 5-minute car journey) from the marina which offers a broader range of provisions which inevitably is cheaper. Collect a token from the harbor office (10 euro cash deposit) to enjoy onshore showers – really good, clean facilities. One shower costs around 80 cents, even for ladies! Lefkas is a vibrant, busy town located a five-minute walk from Lefkas Marina. Here you are engulfed by various restaurants, bars and don’t forget the incredible ice cream shops! The ice cream parlous even have sugar free options along with a range of vegan options. In the square, central to the town is home to some of the best Pizza you can get! Start early and get out of the Marina! The first day of your holiday! Head south, bear in mind it takes about 40 minutes to get out of the channel. Keep a look out for the larger yachts, they have a tendency to motor up in the middle of the channel, don’t let them bully you! Stay within the buoyage areas as the channel is dredged and it shelves off to under a meter in some places. Once you are out of the channel it’s time to get some sails up! It’s a wide-open span of water so perfect to get the feel of your yacht. The winds normally around force 1-2 in the morning and reaching F3-4 in the afternoons. This makes for relaxing mornings to your first lunch spot. Over your port side as you head SW you will go past Greek mainland, various sheltered anchorages with good holding. As you travel down to the stunning Island of Kalamos get ready to anchor stern to or raft bow to stern. George, the unofficial harbormaster will come out and greet you on his white motorboat! He’s a really great chap who owns George’s Restaurant at the back of the town quay, great fresh food, locally caught fish. Can get fairly busy in high season, so best to call ahead or get in early and make a reservation. This town quay does get fairly busy, flotillas come into the quay as well. It’s also possible to free swing near the entrance, which provides good holding. However, best to check the winds as the wind can funnel down through the bay. Limited provisioning here in this small town. You have a small bakery which is on top of the hill with the most incredible bread! Send someone fit and healthy as it’s a 15-minute walk with a very steep incline! Great views over the Ionian and across to Kastos (Kalamos’ sister island). Wake up fresh and rejuvenated! Grab some fresh bread from the bakery and set the yacht for another incredible Ionian sailing day. Travelling NW, you will come across a beautiful little anchorage called Port Leoni, there are no tavernas only a small church in the hill which locals look after. Port Leoni was hit by an earthquake in ’53 and was deserted. As a result, it has left a quiet, stunning lunch spot with some of the clearest water. Really great holding here, very sheltered and can even be used as an overnight stop. 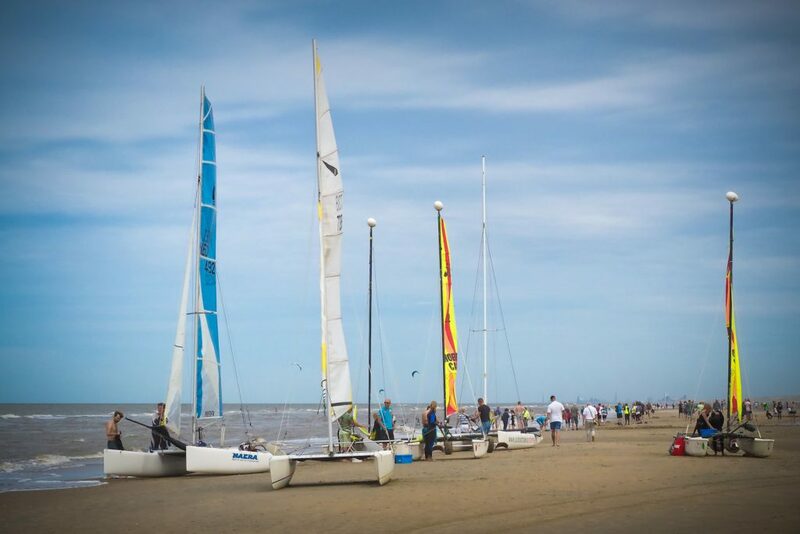 Come the afternoon the wind picks up so time to shake out the sails and get going! Head up to Meganisi, to the town of Vathi, nicknamed Little Vathi, as not to be confused with Big Vathi on the island of Ithica. Great provisioning in the town, with some of the best Gyros in Greece, only 2 euros! Restaurants and bars line the harbor wall with a great vegan restaurant. On the port side as you enter Vathi a sunken airplane is just below the water level which is great to snorkel around. Water and electric available on the town quay. Slip the lines and head SW to the most beautiful island in the whole Ionian! Ithica, a beautiful lush green island that sits next to the famous Kefalonia. Head straight onto the town quay, or long line to the port side of the bay for a quieter evening. Kioni is a tiny little village littered with fishing boats and stunning restaurants. Kioni provides great holding, there can be some deeper patches on the sea bed, so our advice is to motor in and find a good depth to anchor. Kioni does have the tendency to get windy from 6 pm but dies off towards 8 pm. Do make sure that if you’re long lining that you have both port and starboard tied off and anchor are set properly. The wind is caused by the NW prevailing wind that funnels between the hills around the village. The water around Kioni is some of the best around this island for several reasons. It’s really clean and clear, so great for snorkeling and discovering shoals of fish, come the evening you can expect to see phosphorescences! As you disturb the water on your midnight swim underneath the stars you will notice sparkles, this is the Algae, they emit a glow whenever they are jostled! As you leave the stunning bay of Kioni, why not pop round to the island of Kefalonia. The famous Fiskhardo town filled with high-end shops and upmarket restaurants. There’s a bay just south of the town called Foki bay. A stunning inlet where tall green ferns grew, we named it Little Canada when we visited! Once you’ve moored up you can either go to the small beach or explore the disused limestone mine which is home to a labyrinth of tunnels. Takes shoes and a torch, no flipflops as your feet will slide everywhere! You can access the caves by dinghy, or you can swim. Foki Bay can be used as an overnight stop but is exposed to easterlies. 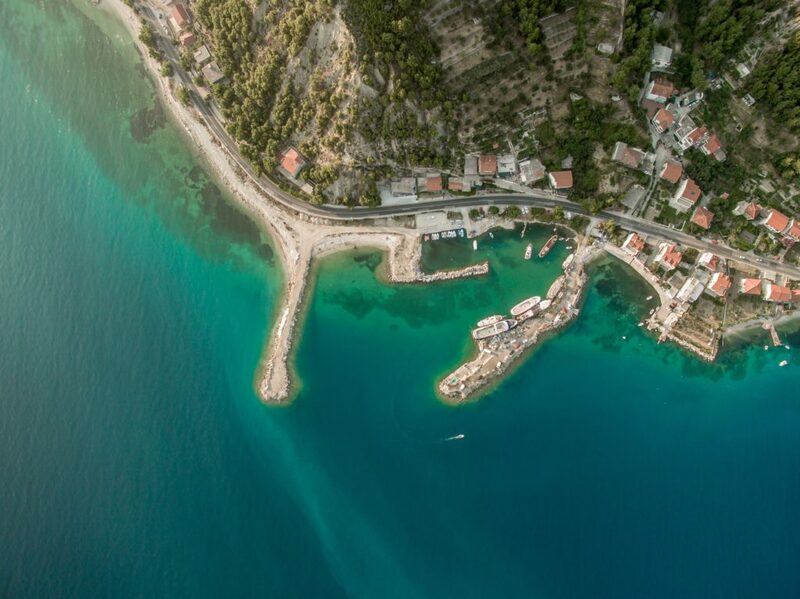 Head North to Vassiliki, a popular destination for windsurfers due to the anabatic winds. It is our advice that you get onto the quay before 2 pm or after 3:30 pm. The prevailing winds travel from west to east and can affect your mooring on the quay. It has been known to reach F6. within 10 minutes. If you are wanting to explore the land, we can recommend going to Porto Katsiki by car, or day charter from the harbor. Poto katsiki provides blue warm waters with bright white cliffs offering dramatic landscapes for miles. This side of the island is very exposed to the prevailing winds, so our advice is to not sail around there but to go by car or ferry instead. Why not start the day off with a walk along the sandy beach of Vassiliki? Don’t forget your swimming costume! 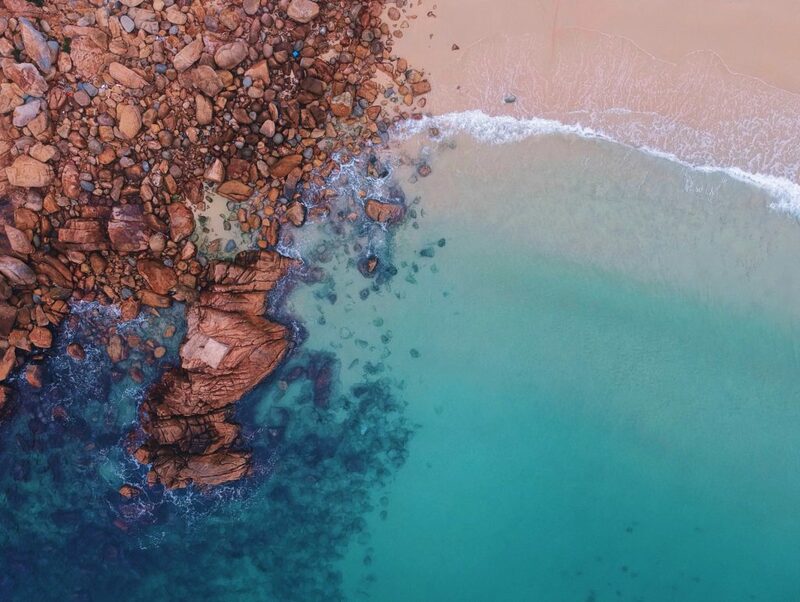 The water is so warm on this coastline due to a large sandbank that retains its heat. Stop off on the way through town and pick up a freddo cappuccino at one of the many town quay coffee shops. Crossing anchors in this harbor can sometimes happen, keep a look out on any unusual vibrations or strain on the windlass. Head out and travel NW. There are some lovely anchorages on the east side of Lefkada island, all providing great shelter and supremum swimming opportunities, head past Sivota to the next bay around – Poros for a swim and a spot of lunch. Head back around to Sivota, a hidden town up in the hills. Sivota is a small town with a row of restaurants, be sure to pop into the Pirates and 12 Gods, one of our favorite restaurants with great service. They also have a quay which has water and electric for free if you eat there. They also have onshore showers for free! Phone beforehand because they do get busy! There’s also the opportunity to free swing in the bay, but it does get busy. Leave Sivota and head across back to the western side of Meganisi to explore the incredible Papanikolis Cave! It’s too deep to anchor here, so someone will have to say on the yacht. Go in by paddleboard or dingy, watch out for the bats! Do not sail into the cave, although it looks big enough it isn’t! As you come further north you will come across the island of Skorpios, keep well away from this island! It is privately owned, and there are armed guards that patrol the grounds and the surrounding waters. The channel between Skoripos and Sparti is blocked off and is also out of bounds. Up along the coast, you have various points of anchoring, one of which is the town of Nydri. Nydri is prone to being busy during the high season which can affect anchoring space. Inland Nydri is host to a collection of natural waterfalls that can be accessed by car or tour bus. Surprisingly Nydri has a brilliant Chinese restaurant that is well priced on the quay wall! This town is great for trinkets and gifts for those at home. Keep traveling North up the channel and you are back where you are started! The channel can get busy with Sunsail yachts, as their base is in Lefkas harbour. The flotillas and bareboats are normally filled up with diesel at Lefkas fuel quay by 5 pm. Once you are in the harbor, head over to Portos Cafe for a refreshing drink and talk about the holiday! Lefkas also has a fantastic laundry department which iron, clean and fold 1 load for 15 euros. Head into town for the last dinner and enjoy the last moments of your Ionian holiday! Check out our Lefkas bareboats if you would like to experience all of the above! Bali cats, how what where and when? The 1600s marks the birth of the new multihull ideology which would later become one of the most recognized yacht models across the sailing community. It was first believed to have been two logs bound together and later developed into two cannons being held together to give that famous multi-style. Catamarans have moved on from this once prehistoric engineering into some of the most celebrated yachts in the world. This was not without skepticism, the first recorded Catamaran designed by William Petty was not a commercial success. The multihull design was virtually unused for around 160 years following its initial introduction. Come the mid-1900’s century catamarans started to come into a league of their own. The cat designs traveled worldwide, with England and the Americas jumping on the bandwagon to start producing the multihull sailing yachts. Famed for stability, these yachts started to beat Monohulls in regattas all over the world. Nowadays catamarans exude luxury and racing excellence. 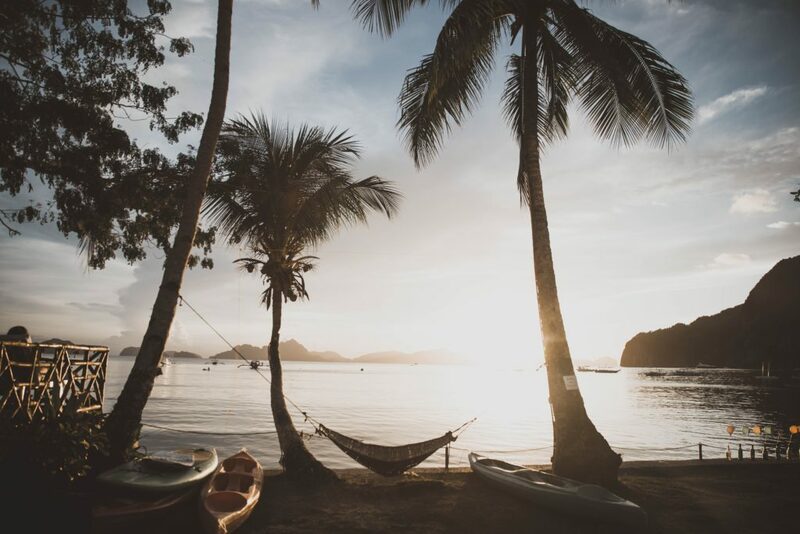 They’ve become so popular in the sailing-holiday-cruising-style due to their space, catamarans are not only novice sailors favorites but are fast becoming the Luxury crewed alternatives to monohulls. This versatile yacht can be utilized in many different ways, not only been built for cruising but have also developed into hydrofoiling racing cats and power cats . We have Bali catamarans based in some of the most elite sailing destinations in the world. If you are after luxury, space, and easy sailing then this yacht is for you! Space is hard to find on monohull yachts that are under 40ft, but even with 32 ft cat space will never become an issue. Built for speed and cruising, these yachts are perfect for exploring shallow waters around the Caribbean, or island hopping in the Greek or Croatian islands. With large Balis accommodating up to 12 guests, these yachts provide ample space for a stunning charter with family and friends. 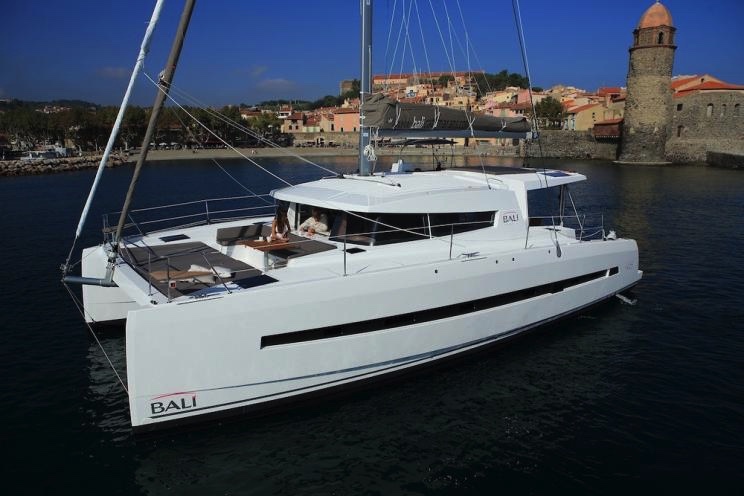 Bali has furnished their yachts to a high specification creating a dynamic, comfortable sail. Bali catamarans are pioneers in the way that they develop their yachts. They are always searching for rules to break, and putting sailors comfort and ease of sailing at the forefront of everything they create. 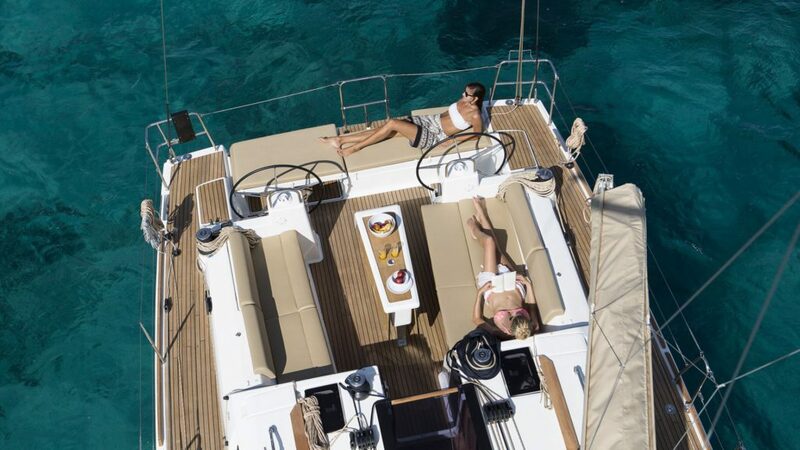 Check out our catamaran yacht charter guide for more information on chartering a catamaran. 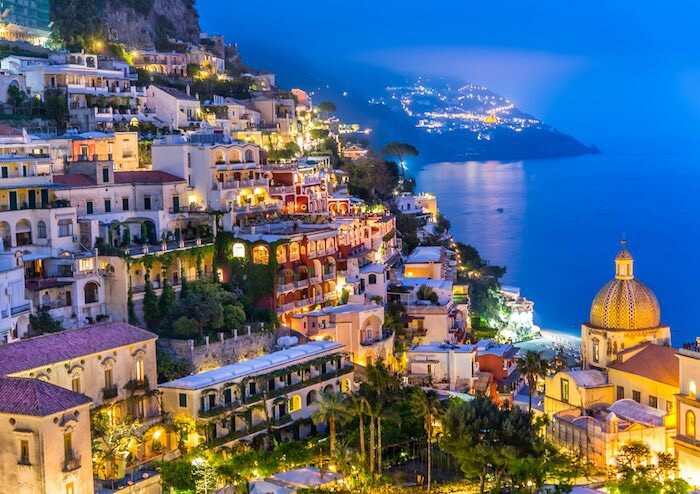 On visiting the Amalfi Coast, you can avoid clinging to the cliffs along the narrow wind roads by chartering a yacht and instead fall in love with the stunning cliff faces dropping away into the sparkling Mediterranean, the quaint century-old fishing towns that climb precariously up the hillsides and of course the many tastes and scents of the exquisite food grown and cooked on this vibrant coastline. Discover one of the world’s most prestigious culinary landscapes, from Naples and its pizza to magnificent seafood dishes served on this coast, there is a flavor for everyone and it is always fresh and tangy.